The SP16 SPAX is designed primarily as a backup breaching tool for use by fire/rescue personnel. 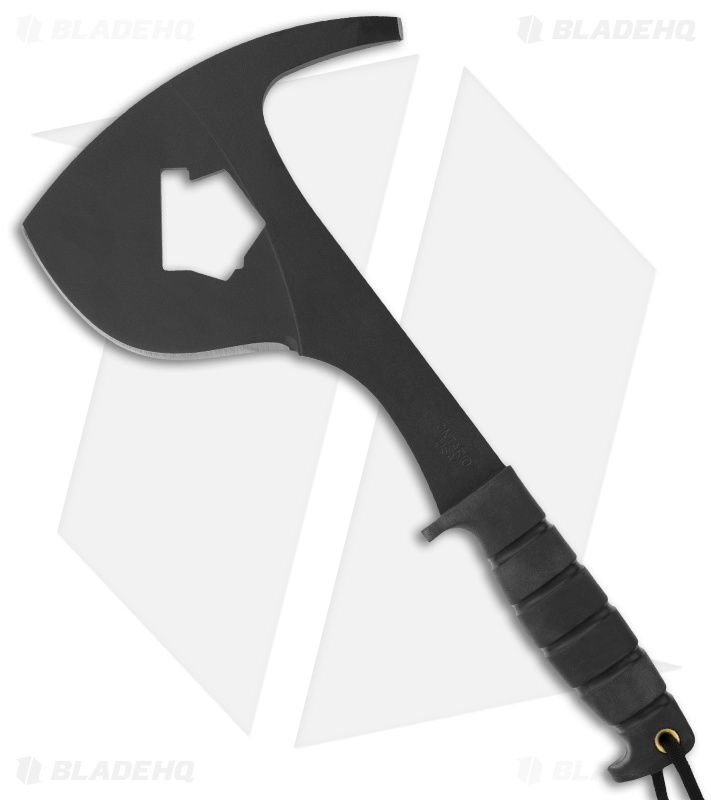 It features a razor-sharp 1095 epoxy powder-coated carbon steel blade with a special hole that is sized for opening and closing fire hydrants or gas valves. The SP16 SPAX utilizes the Spec Plus ribbed Kraton handle for high comfort while the full tang construction ensures it will last through years hard use. 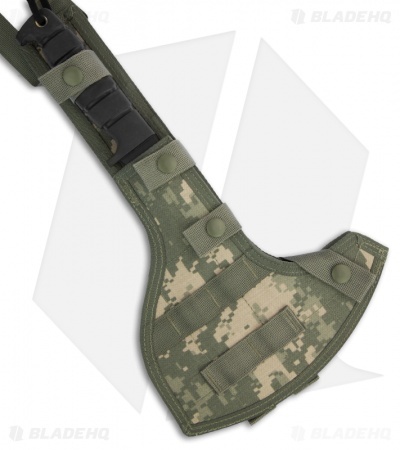 Comes with a FG/UC Cordura leg sheath, which fits load bearing equipment. It features a tie down and webbing on the front.